WA-based broking business Launch Finance recently took out PLAN Australia’s Excellence in Diversification award. Director Warrick Greaves discusses his tips for other broking businesses that are considering expanding their range of services. Diversification might be the current buzzword in the world of broking, but for one Western Australia-based business, it has been a way of life for the past 17 years. Launch Finance, which recently won the PLAN Australia award for Excellence in Diversification, has been servicing a broad range of residential and small business clients in the Perth, Mandurah and North and South West regions of WA since it first started out. “The beauty of diversification is you build a strong rapport with clients and become a problem solver for them,” says Warrick Greaves, director of Launch Finance. Before embarking on a change of business strategy, the broker advises working with an aggregator that can advise on making the transition make a huge difference when it comes to being successful in this industry. The Launch Finance director has been with PLAN Australia for the past 17 years and says he finds the aggregator’s professional development and strategic input particularly helpful. “You will need to obtain certain accreditations, and a good aggregator BDM will be able to advise on any additional training to help you to achieve what you are trying to accomplish,” he says. “An aggregator should also be able to advise on a suitable mentor who can be available to answer any questions. A mentor is important on the commercial and asset financing side, as being able to read financials and understand business structures can take time. Getting involved in local events and networks can be a great starting point when it comes to networking and promoting a new offering locally, he adds. The WA-based broker also advises cementing key referral partnerships with financial advisers, accountants and insurance brokers to ensure every client has the opportunity to have their risk, tax and investment needs looked after. “Our local market knowledge means we can even recommend the likes of estate agents, conveyancers, valuers and building inspectors for clients, just to name a few,” he says. To determine the success of referral partnerships, Mr Greaves advises taking advantage of the many excellent tracking and reporting tools that are now available for brokers. “This allows you to maintain and nurture those relationships which are core to the success of your existing business, while identifying potential untapped sources of business to promote further diversification,” he says. Staying in regular contact with clients is another essential component of long-term relationship building. Launch Finance sends out monthly client newsletters and provides social media updates on the latest industry news in the residential and commercial space. Client reviews are conducted every one to two years, depending on the client’s needs. As well as reviewing any lending requirements, Launch Finance brokers have also taken on a larger “consultancy” role, helping clients navigate rate rises, regulatory changes and financial hardship. “We believe this can strengthen client loyalty by helping to overcome any issues and ensuring clients stay as financially informed as possible,” Mr Greaves says. 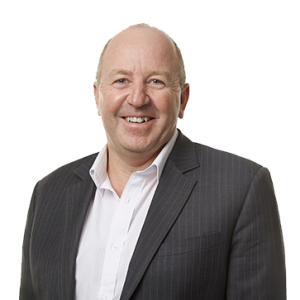 Warrick Greaves has spent over 30 years in the industry and is passionate about delivering the best possible finance solutions to meet the needs of his clients. Over his career, Warrick has received many State and National Awards including the Professional Lenders Association Network (PLAN) Excellence in Finance Award in 2010 to 2016 based on volume of settled loans, Best Finance Broker at the Better Business WA State Awards for 2016 and 2017. 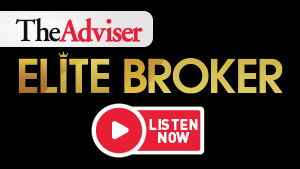 Warrick also recenved the award of Best Finance Broker at The Adviser's Better Business Awards WA in 2017 and 2018.